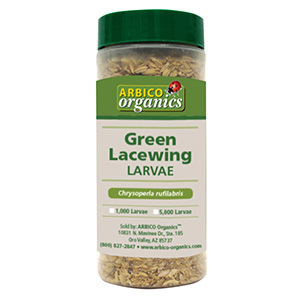 Pre-Hatched Green Lacewing Larvae Ready To Eat Your Pests Upon Arrival. Overnight Shipping Required. Orders ship on Tuesdays Only. Order by Wednesday for shipment Tuesday. See Shipping Info for additional information.